Mountain View 55 and over section of Mission Lakes golf community. Lightly used by snowbirds. Original and only owners. Never rented. Popular Verbena model. 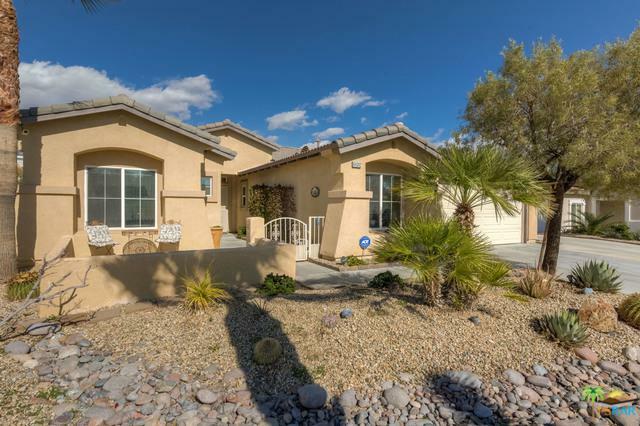 Fully landscaped low maintenance desert scape with fully automated sprinkler system. Expansive open Great room, Kitchen and dining room. 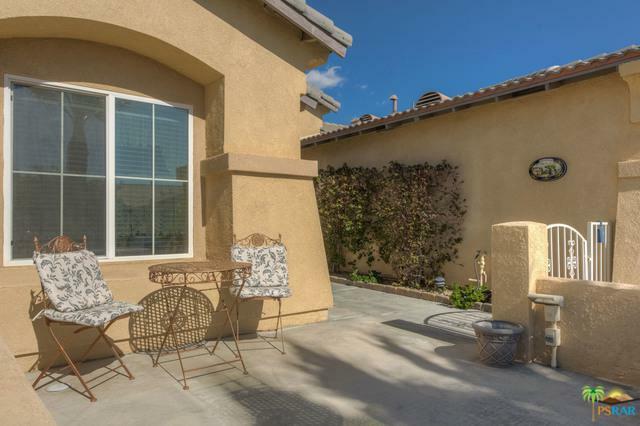 Small front patio with view of tram and San Gorgonio. 900 sq. ft. covered patio out back with ceiling fans and hot tub. Low association fees under $100 P/M which includes community gates, pool and spa. Single story with easy access and easy flow floor plan. Large 42'x13' wide gated RV parking with full hookups. This desert home shows pride of ownership. Appliances are included in purchase price. Alarm/video system and water softener are both in and paid for. Original developer utility bond has also been paid in full. Several thousand of dollars in savings. Seller will consider including most of the Great room and bedroom furniture. 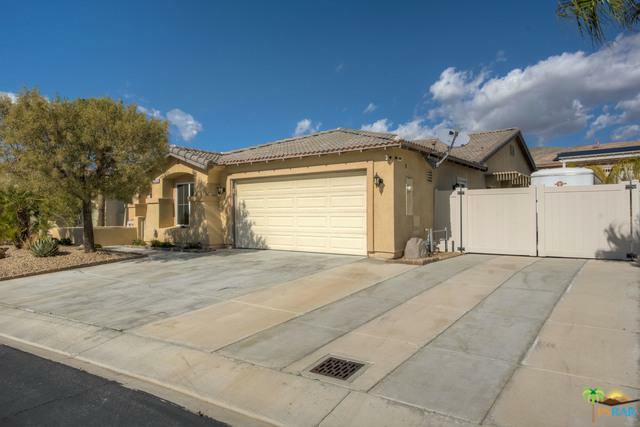 Could be a turn key purchase! Listing provided courtesy of Walt Dwyer of Dwyer Real Estate/Development.